The Izazi construction site at Kusile was our destination yesterday morning. 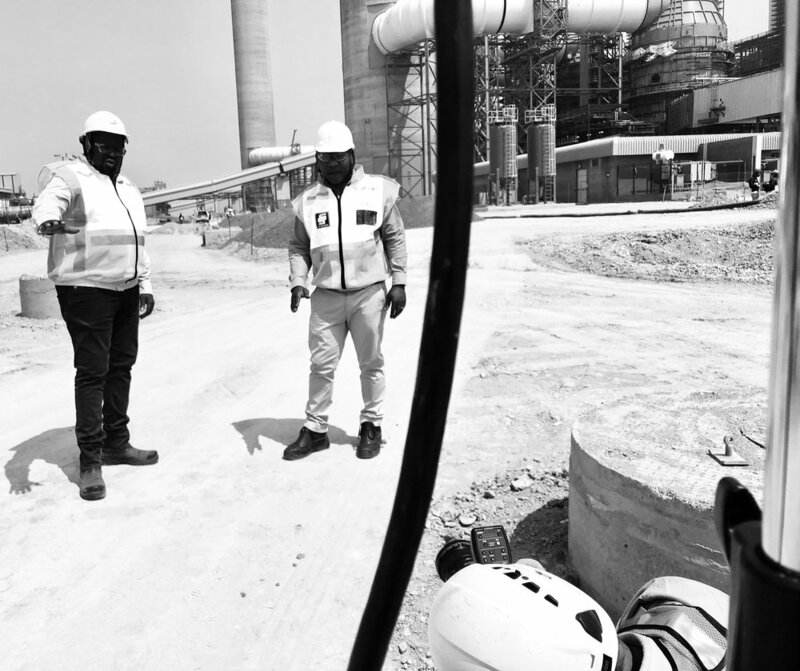 As the Kusile powerstation is a national key point, entry and exit, as well as what may and may not be photographed, is a strictly contralled affair and takes quite a while to sort out each time we work there. It was a hot but blustery day, meaning dust clouds and haze - not the best conditions for top quality photos. We had to use a lot of patience , waiting for those little breaks in the wind to get each shot. The Electra Mining Expo is taking place at the Johannesburg Expo Centre , Nasrec again this week. It is as big and busy as always - or so I’m told, this being my first time attending. Yesterday, we photographed the Schauenburg exhibition stand and the team manning the exhibit. We also photographed Zaheer’s film crew from One Way Up doing their thing. 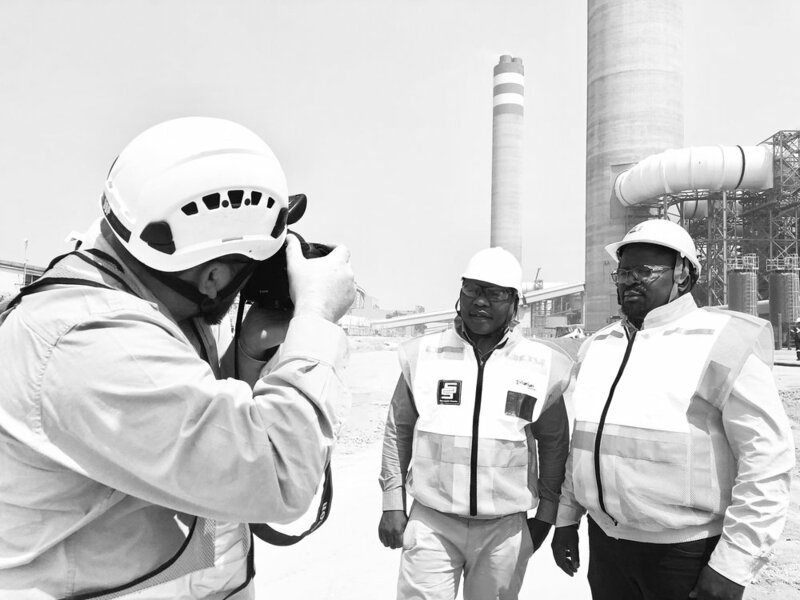 After finishing up the photoshoot, we had a bit of time to walk around, chat to people and drop in on some of our other clients who are also exhibiting this year, such as BASF, Ansell, Voith, etc. We chatted to a few current, past and future clients, met some interesting people and saw all sorts of weird and wonderful equipment looking far too clean and bright for the real world.